Quickly and easily test your SQL Server Databases, SSIS packages, SSRS reports, and SSAS cubes. When you are building a BI system, you want to test more than just the database. LegiTest helps you fully implement business intelligence testing across the entire Microsoft BI stack. 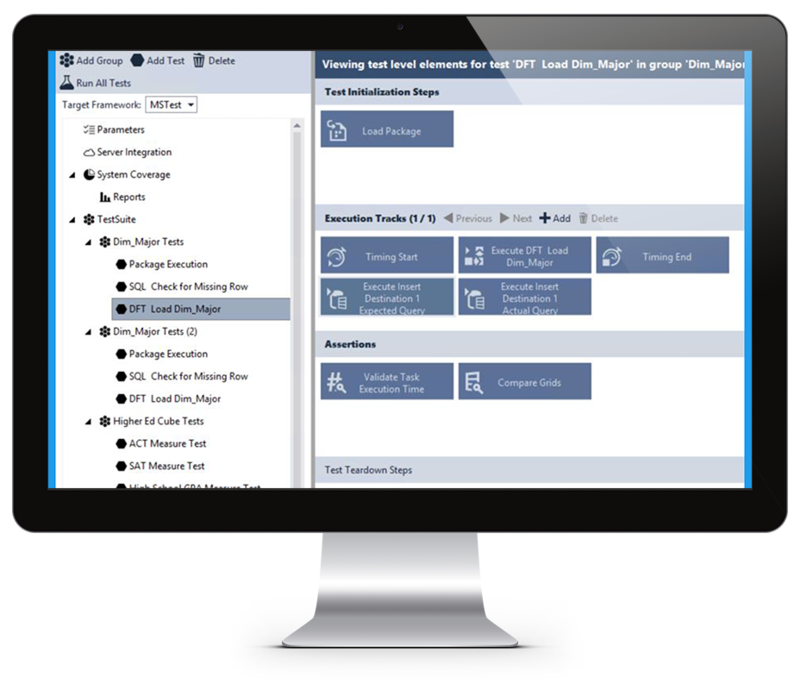 Build an SSIS package test to ensure your ETL meets your requirements. Validate the measures in your Microsoft SSAS cubes to balance to your data warehouse, as well as validate that your SSRS reports are showing the right totals. LegiTest brings the ability to put all your tests into a common framework and get a true picture of the readiness of your BI solutions. LegiTest allows you to create data warehouse tests that validate if the data in your warehouse is correct. Use the wizards to build automated tests to verify that the numbers in your data warehouse match the numbers in your source system. You can also create data warehouse unit tests to validate the stored procedures and other query logic that might show in a report.